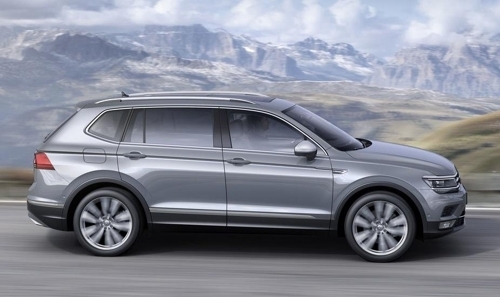 Hankook Tire Co., the world's seventh-largest tiremaker by sales, said Monday that it has begun to supply its ultra high-performance tires to Volkswagen's Tiguan R-Line package. Hankook Tire said it began to supply the all-season tire, the "Ventus S1 noble2," as original equipment tires to the Volkswagen sport utility vehicle in March this year. The South Korean tiremaker has maintained a strategic partnership with the German carmaker since 2001, when it started outfitting the Jetta sedans. Supplying original equipment tires to car manufacturers does not generate much revenue for tiremakers, but securing big companies as clients helps improve their brand images and raise product prices down the line. Hankook Tire shipped products to foreign carmakers, such as Audi, BMW, Mercedes-Benz and Porsche, as part of its efforts to enhance its global brand image.